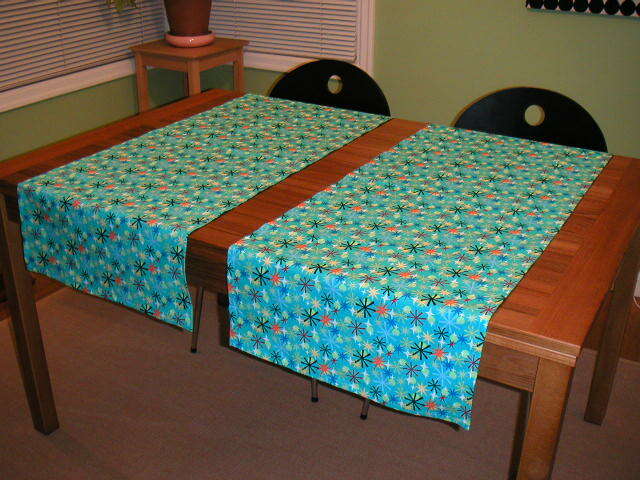 Here are the placemats I made over the weekend. I also will be making some napkins from the Whirlygig fabric. 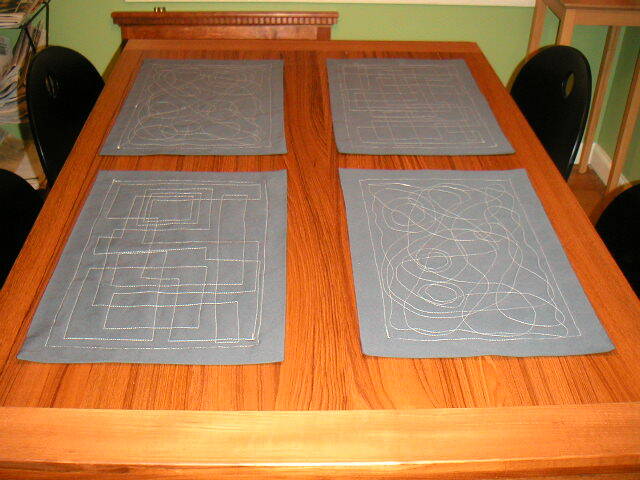 The gray placemats were fun to make but the random stitching took much longer than I thought it would.